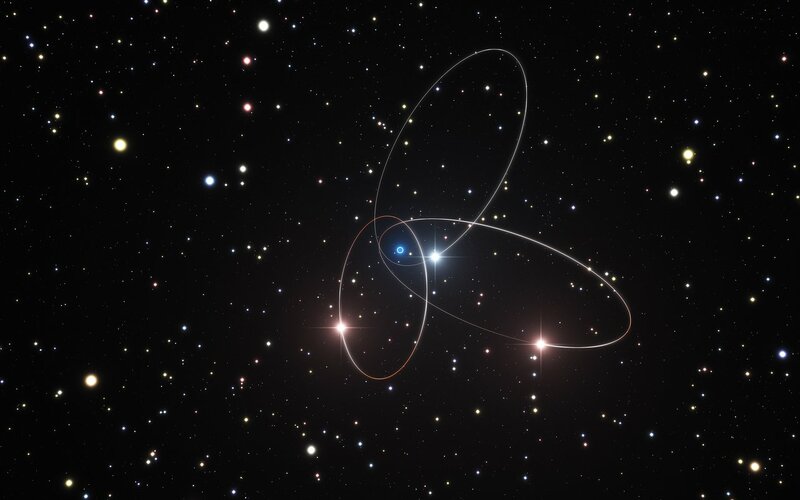 A new analysis of data from ESO’s Very Large Telescope and other telescopes suggests that the orbits of stars around the supermassive black hole at the centre of the Milky Way may show the subtle effects predicted by Einstein’s general theory of relativity. 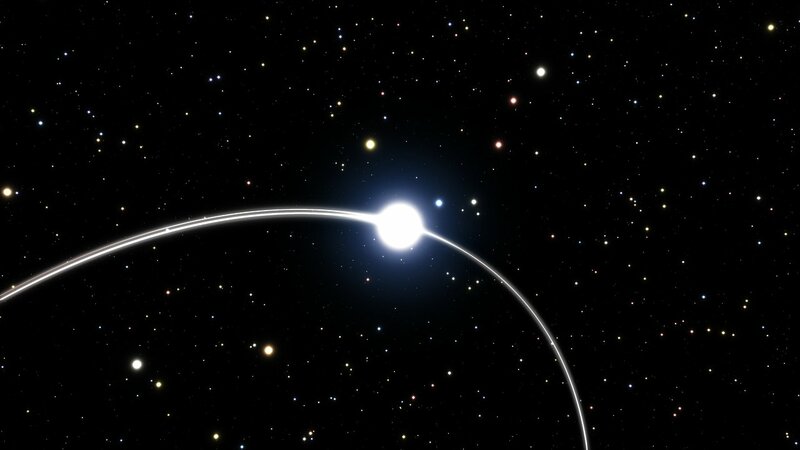 There are hints that the orbit of the star S2 is deviating slightly from the path calculated using classical physics. This tantalising result is a prelude to much more precise measurements and tests of relativity that will be made using the GRAVITY instrument as star S2 passes very close to the black hole in 2018. At the centre of the Milky Way, 26 000 light-years from Earth, lies the closest supermassive black hole, which has a mass four million times that of the Sun. This monster is surrounded by a small group of stars orbiting at high speed in the black hole’s very strong gravitational field. It is a perfect environment in which to test gravitational physics, and particularly Einstein’s general theory of relativity. 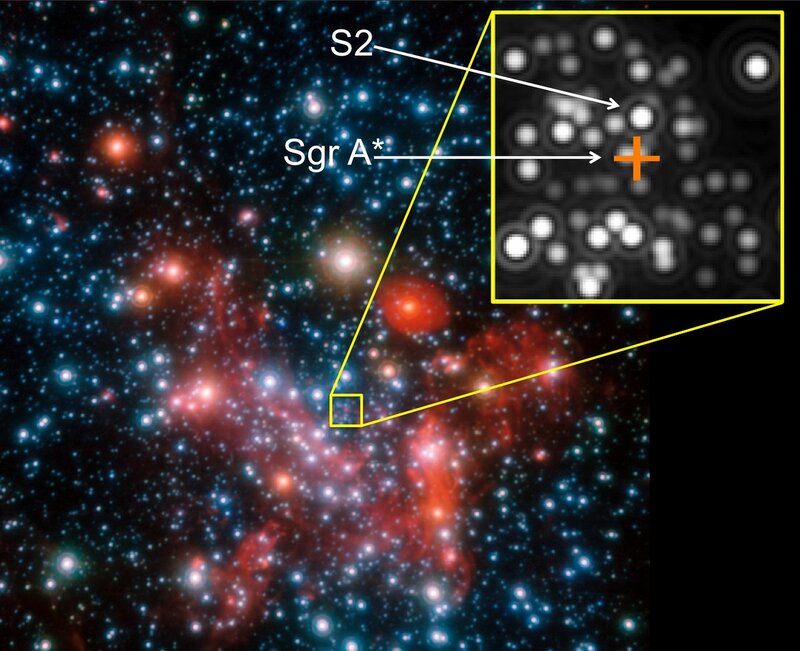 Marzieh Parsa, PhD student at the University of Cologne, Germany and lead author of the paper, is delighted: "The Galactic Centre really is the best laboratory to study the motion of stars in a relativistic environment. I was amazed how well we could apply the methods we developed with simulated stars to the high-precision data for the innermost high-velocity stars close to the supermassive black hole." "During the course of our analysis we realised that to determine relativistic effects for S2 one definitely needs to know the full orbit to very high precision," comments Andreas Eckart, team leader at the University of Cologne. Co-author Vladimir Karas from the Academy of Sciences in Prague, the Czech Republic, is excited about the future: "This opens up an avenue for more theory and experiments in this sector of science."